Project Details: "I am looking for a house painting quote in Wicker Park. -Thanks!" Simple & Easy. 100% Secure. What makes 3rd Gen Painting and Remodeling the #1-rated house painting contractor in Chicago? Why is 3rd Gen different than other Chicago painters near me? As a savvy homeowner looking for a house painter in Chicago, you are asking the right kind of questions. Luckily, 3rd Gen Painting has Chicago covered. Check out our top 5 reasons you should choose 3rd Gen Painting for your next interior or exterior painting project in Chicago. In addition, check out 3rd Gen’s painting service area in Chicago or learn about our full list of Chicago house painting services we offer below! UPDATE (March 24th, 2019): Our interior & exterior painting crews in Chicago are 80% booked this Spring 2019. If you need your house painted near Chicago this Spring/Summer, call us today (708) 680-6078 or get your house painting price quote online, before it’s too late! #1. 3rd Gen Painting is Fully Licensed, Bonded, & Insured. We carry $2,000,000 in liability insurance and have comprehensive Worker’s Compensation coverage to protect you and your home. #2. We Have The Friendliest Painters in Chicago! Our painters are hand-selected from thousands of applicants each year and fully-vetted through a rigorous selection process. That way, we can guarantee that you will work with not only the most skilled painters in Chicago but great people! Our painters know great customer service and love working together as a team to exceed your expectations. #3. Award-Winning Customer Service in Chicago. 3rd Gen recently won the Houzz “Best Of Service Award” for Chicago Painters in 2019. Furthermore, 79 perfect 5-star reviews in 2018-19 can attest to the level of service our painters provide, day in & day out. Get Your Free Painting Estimate in Chicago today! #4 Your Painting Project is On Time, Every Time. #5. Prep Work Is The Best Work! Our skilled painters know that a quality paint job starts with incredible surface preparation way before paint is applied. Moreover, we only use the best quality paint (Sherwin Williams or Benjamin Moore) to ensure your painting projects lasts! Schedule your free interior or exterior house painting estimate in Chicago today by filling out our quick & easy painting quote form online. You can also call 3rd Gen Painting in Chicago at (708) 680-6078. We are booking up quickly for the 2019 Spring & Summer seasons so don’t delay! What House Painting Services Do You Provide? Get Your Free Interior or Exterior House Painting Estimate Online Today Near Chicago! What is 3rd Gen Painting's Service Area in Chicago? Get A Free House Painting Estimate Online in Chicago Today! Located in the burbs? No problem! Our painting crews in Western Springs are ready to take on any interior or exterior house painting job you can think of. Call 3rd Gen Painting of Western Springs at (708) 680-6078 or schedule your free painting estimate online! Over 79 5-Star Painting Reviews Online As of March 2019! First, our painters make customer service a priority. You can trust our fully-vetted painting crew members because we only hire great people to work with our clients in Chicago. Given that, our professional house painters will provide an open & friendly painting job site environment at your home each day. Furthermore, you can trust your painters will be fully transparent and attentive to your needs. Our painters will actually listen. No doubt, your painting crews will be happy to answer questions or accommodate your requests. Above all, you will notice that 3rd Gen’s house painters love what they do and truly enjoy working as a team to exceed your expectations -in every way possible. Simply put, 3rd Gen’s friendly and professional painting crews in Chicago are one in a million. Schedule your free home painting estimate in Chicago online or give 3rd Gen Painting of Chicago a call at (708) 680-6078. Our 2019 calendar is nearly 80% booked so give us a call today! What does it mean for a contractor to be bonded and insured? Hiring a trustworthy painting contractor near Chicago to work on your home can be challenging. Certainly, there are some criteria that you should use to determine whether or not your Chicago contractor can even be a contender. Simply put, your Chicago painter needs to be licensed, bonded, and insured. In addition, the painting contractor you choose NEEDS to carry worker’s compensation insurance. If not, you can be on the line for hundreds of thousands of dollars if a painter is injured in or around your home. To that end, let’s break each of these common terms into what they mean for you as a homeowner in Chicago. What does it mean when a contractor is insured? To start, there are two different types of insurance your Chicago contractor needs to carry – liability insurance and worker’s compensation insurance. This type of insurance covers any damage done to your property as well as any bodily harm caused by the contractor’s work. For example, if a painter is using a ladder and break a window, the liability insurance will cover the cost of replacing the window. This type of insurance protects you from any liability for employee or paint crew member injuries. As an example, if a painter falls off of a ladder and injures their back, this insurance would cover all of their medical expenses (regardless of how it happened). Furthermore, without workers comp, you’d have to use your own homeowner’s insurance & pay out of pocket any amount over that policy. All in all, it’s a best practice to ask for written proof of insurance from your contractor. Certainly, this ensures your painting contractor’s insurance policy will cover a worst-case scenario for your home. When a contractor is bonded, it means they’ve purchased a surety bond through either an insurance or surety company. Likewise this bond can protect you in the event that your contractor doesn’t complete the painting work. For this purpose, 3rd Gen Painting in Chicago is 100% licensed, bonded, & insured with full worker’s compensation coverage. Choose a Chicago painting contractor you can trust. Get your Free Painting Estimate Online Today! Get Your Painting Quote Today! Next, 3rd Gen’s interior & exterior painters know that preparation and a clean house painting job site are key to a quality paint job that lasts. Whether they are patching drywall or washing the exterior siding, they understand the importance of proper prep work before painting. Furthermore, our painters believe that 80% of what makes a paint job great is proper prep work. Accordingly, we trust in the quality our home painters provide and 100% stand behind every paint job. Notwithstanding, this focus on prep is why we carry a minimum of 3-5 year warranties on our residential and commercial painting projects. Finally, when it comes to finding a great interior or exterior painting service in Chicago, the devil is in the details. Surely, 3rd Gen’s professional painters have an eye for detail that makes for both a beautiful paint job and a quality paint job that lasts. Having said that, we’ve covered the importance of prep work in painting, but what else makes for both a quality and stunning home painting project? 3rd Gen’s painting crews in Chicago only use the best quality paint. Period. To be sure, we have exclusive contracts with Sherwin Williams & Benjamin Moore that ensure we get the best quality paint at the best price. Moreover, our professional painters are fully trained and certified by Sherwin Williams to be able to identify the perfect painting or staining product to use every time. Finding a Benjamin Moore store in Chicago is a bit different than going to a dedicated Sherwin Williams paint store. Schedule your free house painting estimate with 3rd Gen Painting and Remodeling in Chicago Today! All things considered, 3rd Gen Painting’s process is a large part of what makes us one in a million. In like fashion, 3rd Gen’s painting crews run an incredible home painting production system that is second to none. No doubt, this efficient & effective approach to painting homes has been perfected through decades of work by our founders, Andre & Matt. To enumerate, our systematic approach ensures that your painting project is done in half the time with double the quality of a regular paint job. Guaranteed. On the whole, it’s about time you looked forward to working with your Chicago painting contractor. To that end, call 3rd Gen Painting and Remodeling to schedule your free painting estimate in Chicago today or get your free estimate online. Did You Know? 3rd Gen Painting was recently awarded the “Best Of Houzz Service” Award by Houzz in February 2019. 3rd Gen Painting also carried $2,000,000 in comprehensive liability insurance, full worker’s comp, and is bonded & licensed. Furthermore, we are EPA Lead-certified painting contractors here in Illinois. Indeed, you can rest-easy that our friendly & fully-vetted professional paint crews are fully covered in case of any emergency. Born & raised in the blue-collar Chicago suburbs of Westmont & Brookfield, IL. 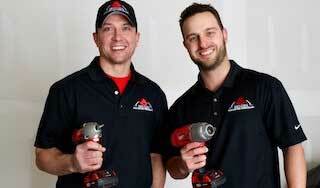 They first starting working together in college and are Chicago’s home-grown local house painting experts. Learn more about the 3rd Gen Painting and Remodeling Story. Get My Free Estimate Online Today! Project Details: "I am looking for a price on some interior painting in Lincoln Park this Spring -Thanks!" It can be difficult to find a great commercial painting contractor near Chicago. Which Commercial painter in Chicago can you have 100% confidence will complete the painting project on time and on budget? Given that, 3rd Gen Painting is the #1-rated commercial painting contractor in Chicago of 2019. Furthermore, our professional painters in Chicago are dedicated to providing the highest quality work and service experience possible to your facility. Additionally, our commercial painters are experienced in painting every type of interior and exterior surface coating you require. Not to mention, we take additional steps to ensure your facility and business is protected at all times during the commercial painting project. By the same token, our painters in Chicago are trained to follow specific OSHA guidelines and parameters for your commercial project work. Lastly, our commercial painting crews in Chicago are always on time and on budget. We employ an advanced painting management system that gets the job done in half the time at the highest possible level of quality. No doubt, you can trust that our paint crews in Chicago are going to exceed any and all expectations you may have for your project. Guaranteed. As a whole, you need a Chicago house painting contractor that does what they say they will do and has a proven track record of quality work. Not to mention, the most incredible painting crew members that Chicago has to offer. To that end, 3rd Gen Painting and Remodeling is the smartest choice when it comes to picking a Chicago house painter. Schedule your free interior or exterior painting estimate near Chicago online today! 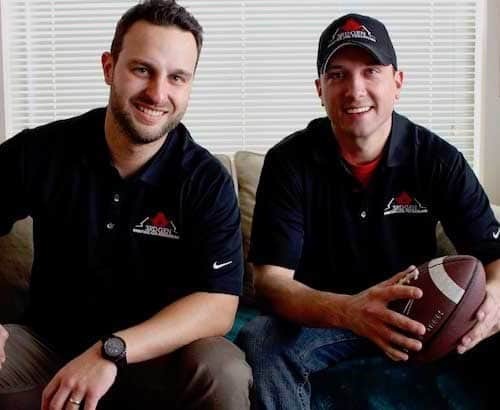 Therefore, it comes as no surprise that our amazing house painting crews are the secret to our success as the #1-rated house painting company in Chicago of 2019. Furthermore, our friendly and professional painter’s goal is to exceed every expectation for quality & service you may have for your house painting project. As of March 2019, 3rd Gen has set a new benchmark of customer service for painting companies in Chicago. In fact, our dedicated painters helped us earn over 79 perfect 5-star reviews on sites like Google, Thumbtack, and AngiesList in 2019. On the whole, we like to say that we started first as a customer service company that happens to know how to paint homes incredibly well. Consequently, our professional painting crews in Chicago exemplify this ideal on and off our paint job sites. Wouldn’t it be awesome if someone put together all of the paint colors of the year from the largest painting companies the past few years? That way, you can compare 2019 paint color trends between paint brands over time and start narrowing down some of your favorites. Well, you’re in luck! 3rd Gen Painting took the time to put together a helpful “paint color of the year” infographic just for you. Without further ado, here are the the past four year’s paint colors of the year from Sherwin Williams, Benjamin Moore, and PPG Paints (2016- 2019). Get A Free House Painting Quote Online! What Are 3rd Gen Painting's Service Areas? 3rd Painting and Remodeling is located in both Madison, WI and Chicago, IL (Western Springs). We specialize in top quality interior and exterior painting in addition to remodeling and deck building. Get A Free House Painting Price Quote Online near Chicago or the suburbs Today! Schedule your free Painting or Remodeling Quote Online Madison or surrounding Dane County Today! 3rd Gen Painting in Chicago Makes Choosing Paint Colors Fun! We believe choosing a new paint color for your home should be fun, not stressful. To be sure, that is precisely why every interior or exterior house paint job you book with 3rd Gen Painting includes a complimentary paint color consultation! First, we will schedule a time to meet before the start of the paint job to help discuss possible options for your wall colors. During this step, you will be given a complimentary paint color fan deck to help you narrow down your interior wall color. Furthermore, you will be able to keep the paint fan deck we provide for future paint projects! Next, 3rd Gen will apply complimentary paint test patches onto the walls to help you visualize the color in the space. What’s more, our design experts will provide complimentary paint test patch sample quarts, application sponges, cleaning materials, and masking paper or plastic to protect surrounding areas. Last but not least, you will have the choice of up to three different paint color test patch samples applied on the walls in 2x2 sections to help you visualize the new paint color in the space. In addition, you will have full access to your very own dedicated paint representatives from Sherwin Williams or Benjamin Moore as well as our super useful paint color visualizer and color match software programs. Likewise, you will be able to utilize our extensive paint color database of every paint color from every paint store from the past 25 years. You can count on us to match any old paint cans you have or paint color swatches from the past few decades! Do you happen to love a particular shade of blue on an accent pillow in your living room? We can match that too! Using our paint color visualizer, we can create a custom paint mix to match any physical surface or decor item in your home. On the whole, 3rd Gen’s Paint color selection toolkit makes the entire house painting color selection process a breeze! Contact 3rd Gen Painting in Western Springs today to schedule your free paint color design consultation or house painting estimate in Chicago, Hinsdale, Western Springs, La Grange, or Oak Park this coming 2019 season! Moreover, you can also look through our super-useful frequently asked questions page or the full list of cities we work in by visiting our locations page. Lastly, you can learn more about how 3rd Gen Painting and Remodeling first got started by visiting our story page online. Click To Call 3rd Gen Today!